How energy-efficient is your home? What types of upgrades could be suggested to make your home more energy efficient? What upgrades or renovations could have the best initial impact or make the most difference on reducing your heating bills? Find out by booking a free in-home energy assessment today with our friendly experienced professionals. 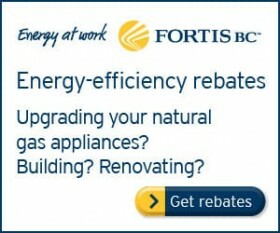 Call 604-945-1904 for more information or to book your free Home Energy Assessment. Submit your question below and we'll email you with an answer. Please enter your area or district.